The new ultra-high resolution spectrograph developed by a consortium led by Francesco Pepe professor at the Department of Astronomy of the Geneva University and member of PlanetS observed its first star successfully. 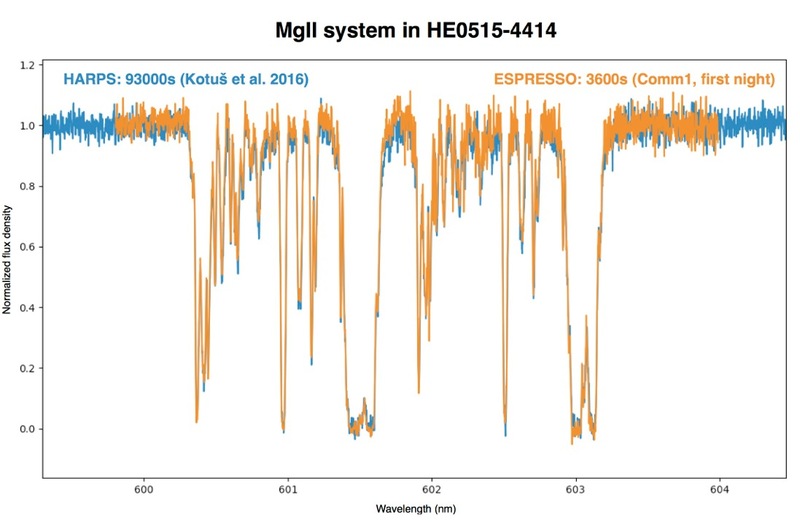 Installed at ESO’s Very Large Telescope (VLT) site in Chile, ESPRESSO will look for tiny changes in the speed of stars, sign of the presence of a planet. This is the first time that an instrument can collect light from the four 8 meters telescopes of the VLT, the equivalent of a machine of 16 meters in diameter. After a rather turbulent trip between Geneva and Chile, all the crates containing the ESPRESSO pieces have arrived well in Paranal (see the September issue of the Observer: http://nccr-planets.ch/blog/2017/09/27/bye-bye-espresso/). 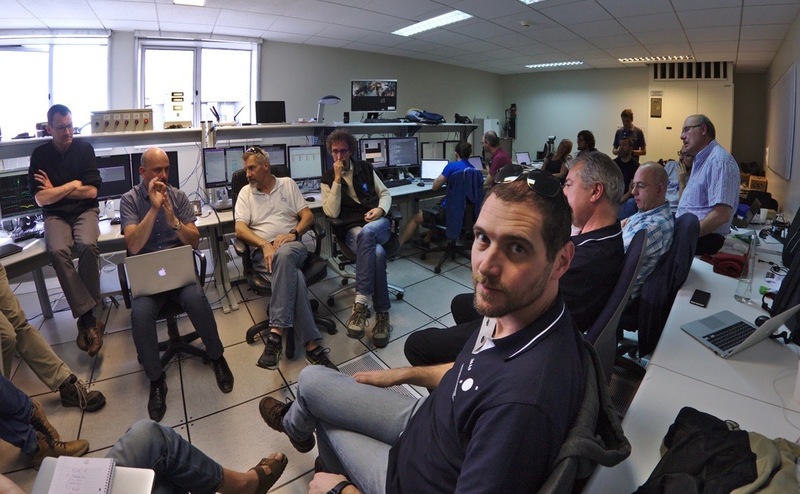 It then took just two months for the entire team to reassemble the spectrograph on the Paranal site, including tests. The latter, however, had shown that some adjustments were necessary before the first observation, which was done during a two-week mission. On November 27th, the foreseen date for the first light, the entire ESPRESSO team met with ESO leaders to point at the first star. 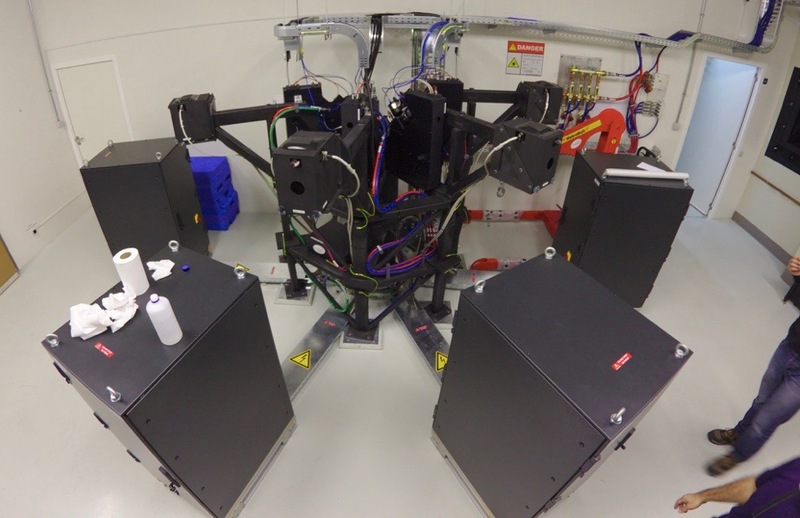 This new generation spectrograph is the successor to HARPS, which has been the best spectrograph in the world until today, able to achieve a precision of 1m/s on the measurement of radial velocities of stars, while ESPRESSO can achieve an accuracy of a few centimeters per second. “The success achieved today is the result of the work of many people for 10 years” says Francesco Pepe, astronomer at the University of Geneva in charge of the project, “ESPRESSO is not just the evolution of our previous instruments (including HARPS) but thanks to its greater precision and resolution, it marks a major change in the world of planetology. It will not be surpassed for at least a decade. I’m just impatient to find our first rocky planet. ” Indeed ESPRESSO, with its accuracy of ten centimeters per second on the speed of the stars (which move several tens of kilometers per second), can measure the planet mass as small as the Earth. The first observation was for the star Tau Ceti. It was done using the UT1 of the VLT, the observations made on the four united telescopes will be done later. The weather conditions were good, the moon was in the first quarter and some harmless cirrus strolled in the sky. 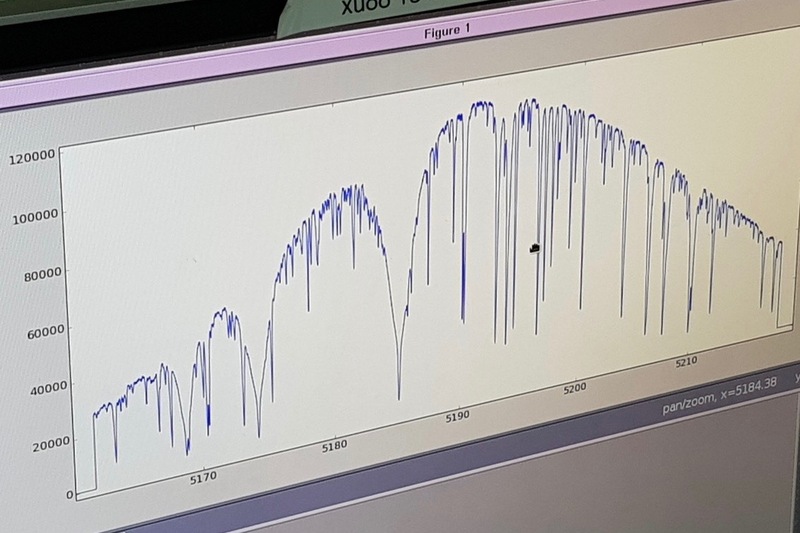 The observations have worked the first time and the spectra acquired with ESPRESSO have the same quality as those of HARPS obtained however with much lower exposure times. 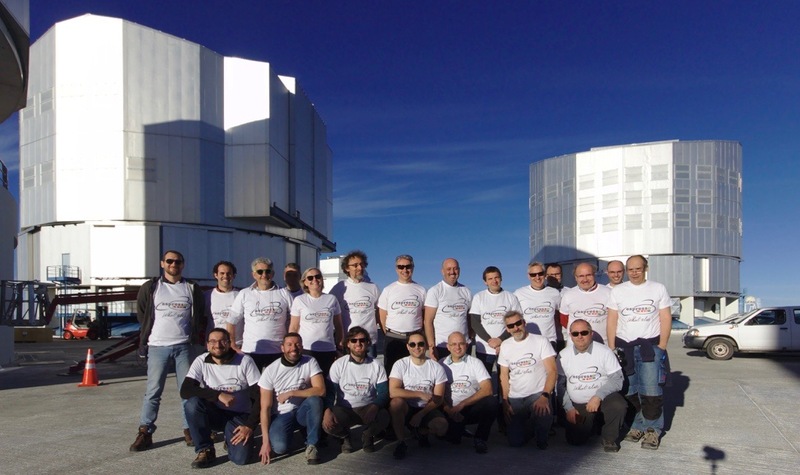 ESO’s head of instruments, Gaspare Lo Curto, praises ESPRESSO team members, “They not only perfectly installed the spectrograph but also the optics that carry the telescopes’ light to the device and which is of great complexity. Although designed and thought for hunting small planets, ESPRESSO will have other applications. It will be the most powerful tool that exists to test the invariability of the constants of physics from the Big Bang to the present day. Tiny variations have been predicted by some theories but not convincingly observed. If ESPRESSO is the ultimate in technology and spectrography, one is already talking about its big brother HIRES to be installed on the future ESO Extremely Large Telescope which mirror will measure 39 meters in diameter. Discoveries of rocky planets smaller than Earth, like Mars are already evoked, and who knows? Perhaps like the Moon?